It is our great pleasure to introduce Kenia, a volunteer in our Google CS First Storytelling Club. The success in the classroom cannot be guaranteed without the enthusiasm and contribution of our volunteers. Our volunteers expand the students’ vision and enrich their learning experiences. Learn more about Kenia and how she helps empower students to learn about technology. Kenia, a Code Park volunteer, prepares certificates for Code Park students at Creative Coding with Scratch Code Club. Courtesy of Wanjun Zhang. May 2nd, 2018. 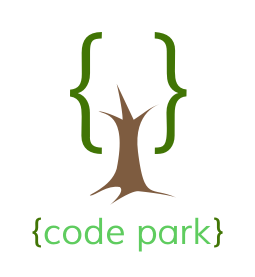 How did you become involved as a volunteer with Code Park? I’ve always loved being around kids, and I also love programming, so it was a very good fit for me! Teaching kids is like a cute way to allow yourself to somehow be a kid again and try to perceive life as they do. I was learning how to program when I met the Code Park team, and they were nothing but help to me. They were the best support group, teachers and friends, and when I realized they were about to start this organization I couldn’t wait to help as much as I could. I could also relate immediately to the community of kids I was volunteering. I also grew up in a home with no computers and very limited resources. But that didn’t shape who I am and neither what they choose to become. They were eager to learn and I was happy to be part of it. I recently moved from my country, Venezuela, where I used to work as a Reservoir Engineer for many years. By the time I arrived to Houston, the oil market was facing another complicated moment and I was inspired to gain new skills and provide myself with tools for a more stable career. This career transition was what inspired me to get new skills and to code. What is an interesting side project you’re working on? I’m about to start an advertising campaign for my husband’s company, Way Better Sound, which is an event production company. I’m all about getting more insight from our customers’ data and providing a better service. An updated and more interactive website, email campaigns, social media integration and products segmentation could take the business to the next level. What is your favorite classroom experience so far? My favorite experience so far is when kids did their final project presentations in front of other kids and volunteers. I was so amazed by how fast they grew and how fearless they became! Kids were totally engaged in their projects - they developed a critical and creative approach and had fun explaining themselves. By the end of that afternoon of coding projects, I was in a classroom full of skilled kids who proved how confident, creative, collaborative, and just inspiring they could be. Kenia’s warmth, patience, and kindness inspired our summer students to learn computer science. Her guidance gives Code Park students an early start that prepares them in the digital era. Where we start should not determine where we end up. We are excited to see Kenia in our classrooms as she continues her journey as a computer programmer.